Whether you're forging trails off-road or headed to soccer practice, the 2019 Honda HR-V helps you transport your adventures. The In-Line 4-Cylinder engine and 16-valve SOHC i-VTEC® valvetrain deliver crisp throttle response to tackle all that Cartersville or nearby Alice and Calhoun have to offer. Visit our new and used Honda dealer for an HR-V road test! The Display Audio interface on 2019 HR-V keeps drivers and passengers connected to their compatible smartphones with ease. The Automatic Climate Control ensures your cabin always stays comfortable. When you want some fresh air, simply activate the One-Touch Power Moonroof during those warm Georgia summers. The 60/40 Split 2nd-Row Magic Seat® offers multiple passenger and cargo configurations. 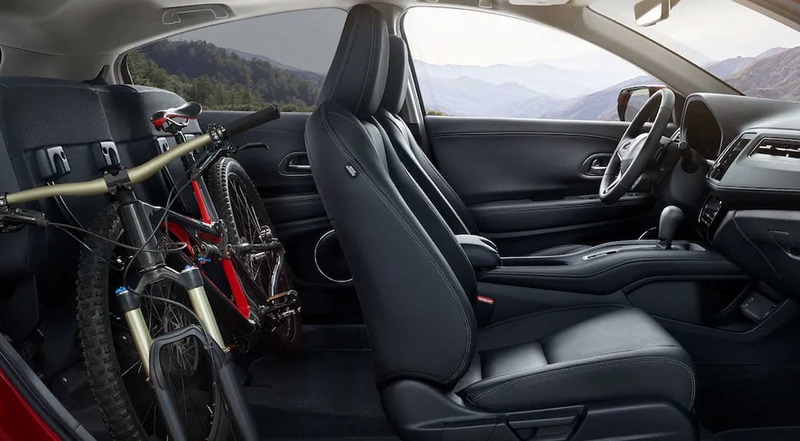 The 2019 HR-V helps you bring all the gear and people you need for your weekend activity or weekday carpool. Visit Shottenkirk Honda of Cartersville and visualize how you will maximize the 58.8 cubic feet of cargo room. Traveling to foreign lands? The onboard navigation system will help you arrive at your destination in nearby Woodstock, Georgia. HD Traffic information will give you turn-by-turn directions. Use the voice recognition technology to safely keep your hands on the wheel. Honda LaneWatch™ helps drivers stay up-to-date on changing road conditions via your Display Audio screen and a small camera. This added visual gives you a greater view of what's beside your new compact crossover than a side mirror alone. Change lanes with safety and confidence in your Honda HR-V.